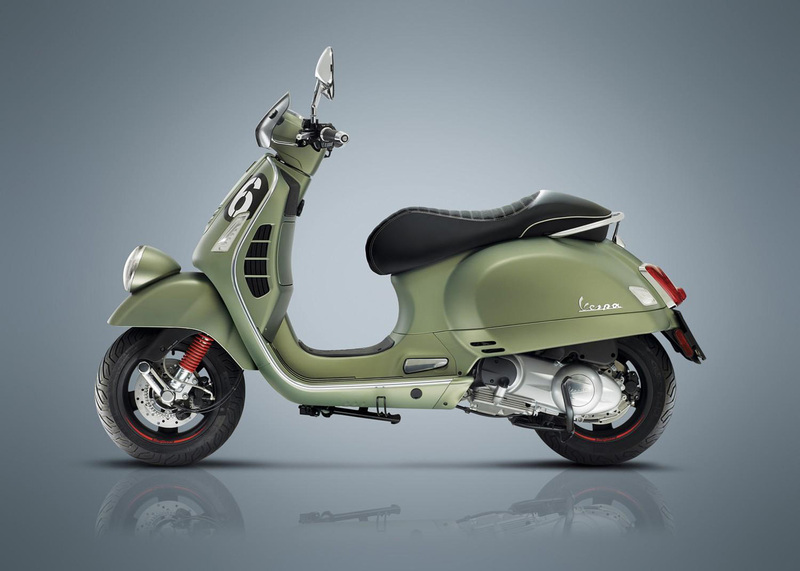 Vespa’s new special edition named ‘Sei Giorni’, which translates to ‘Six Days’, celebrates the original Vespa sport scooter that won nine gold medals at the international six days of varese in 1951. 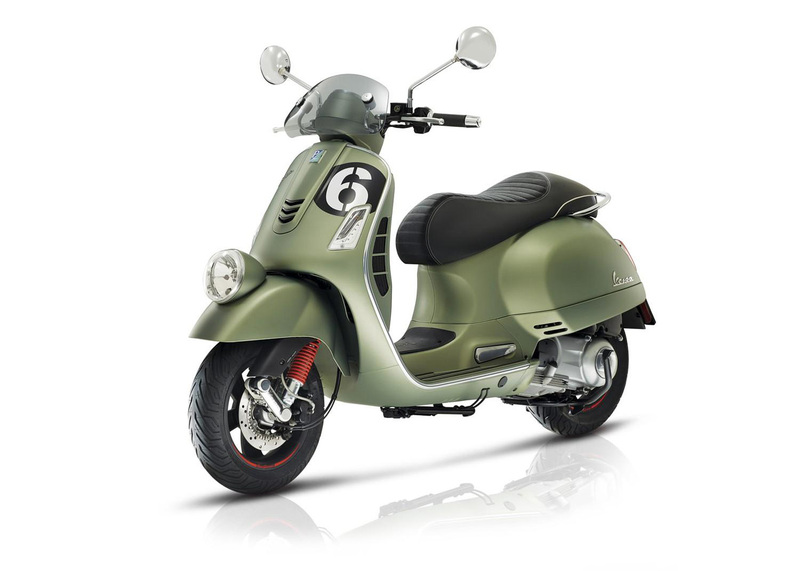 Based on today’s generation Vespa ‘GTS’ scooters, the limited ‘Sei Giorni’ harks back to the Italian-manufacturer’s iconic style. 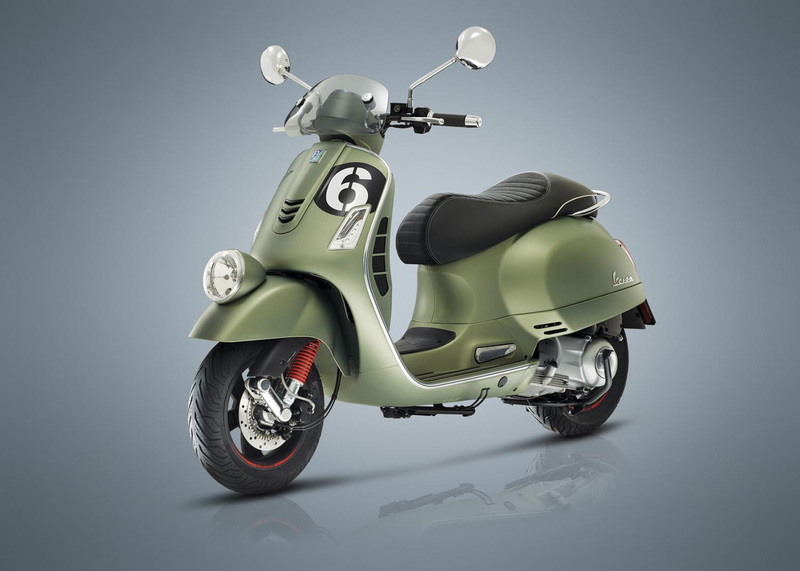 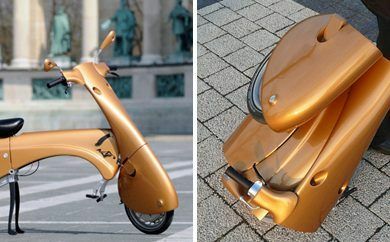 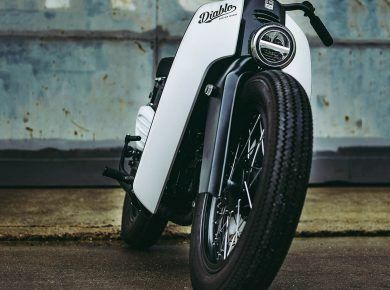 Such like its 66-year-old predecessor, it features a unique low-mounted headlamp located on the front fender, special handlebars, plus the same colorway, and details inspired by the winning scooter. 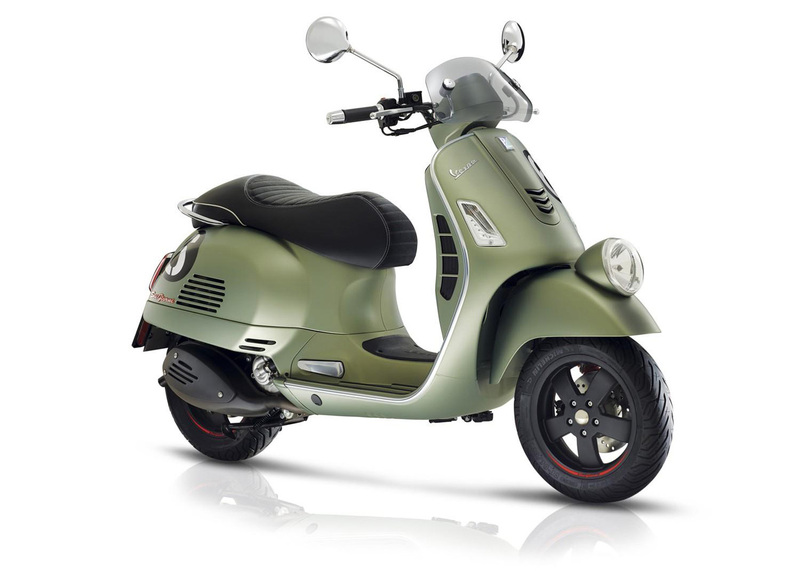 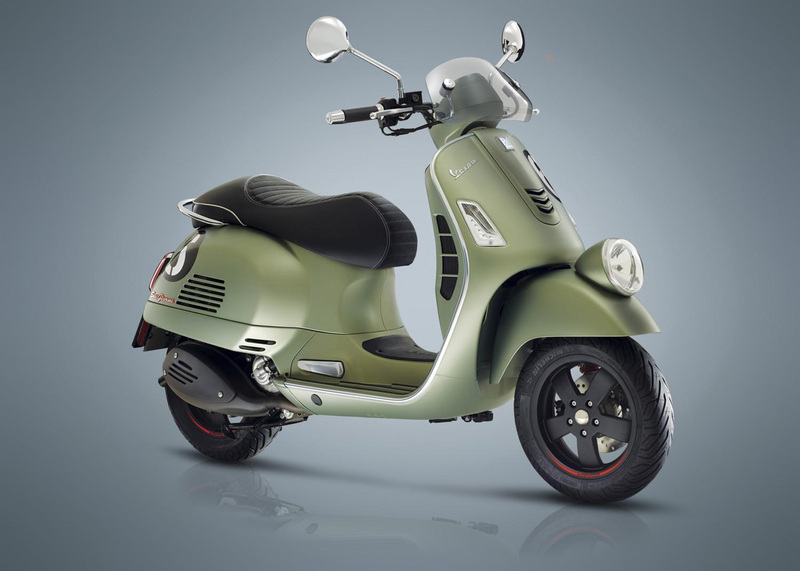 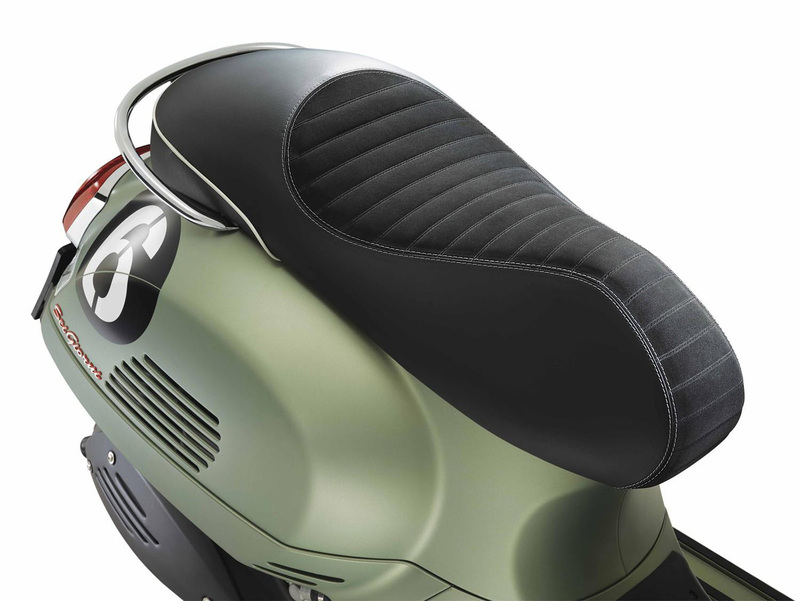 The Vespa ‘Sei Giorni’ comes outfitted with a seat upholstered in fine, black leather with contrast stitching, and it comes with the same olive green livery as the sport scooter from the 1950’s. 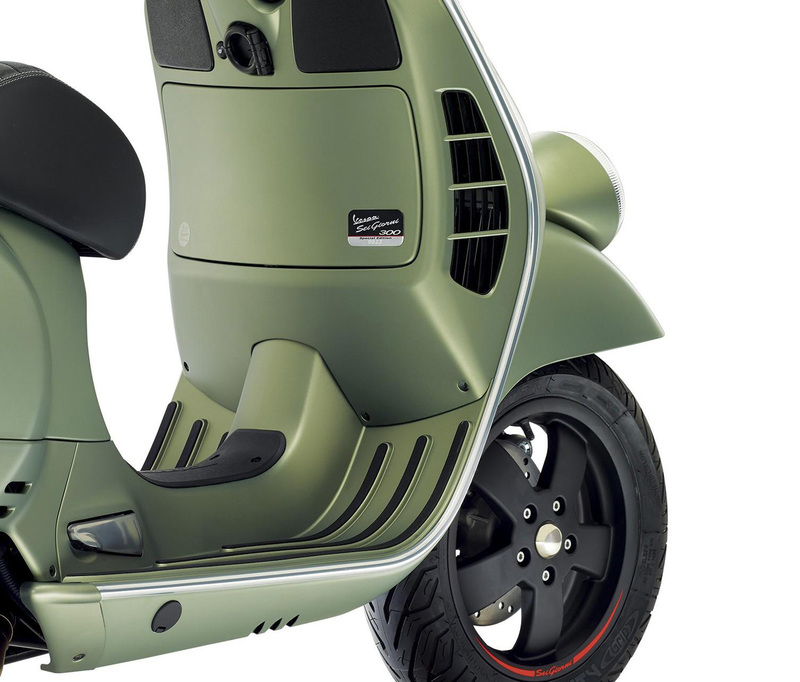 A set of blacked-out rims, exhaust, and details including a round number holding plate, and iconic ‘Six’ badges make this scooter truly stand-out from its trusted counterparts. 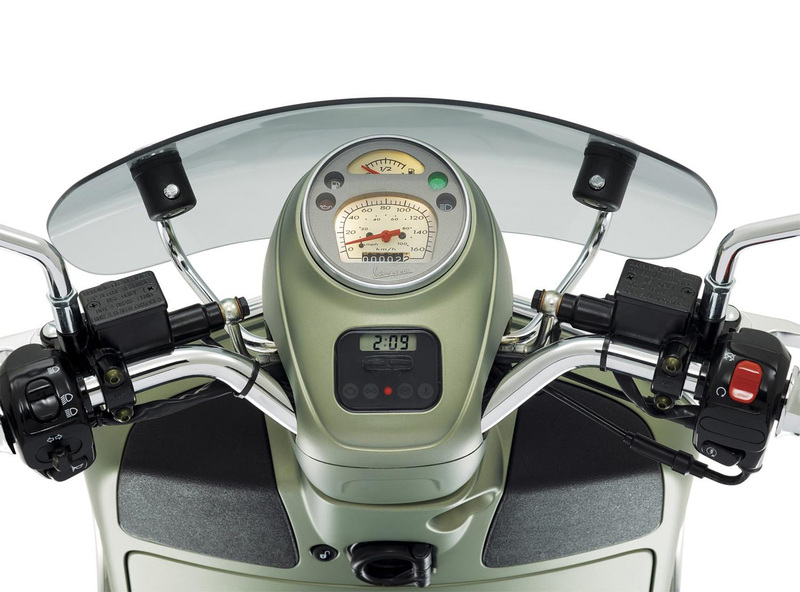 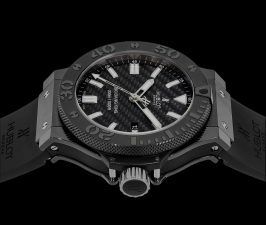 A small plaque with the model’s serial number, plus a USB port located inside the luggage compartment, ABS, and LED lights complete the ‘Sei Giorni’s’ refinements. 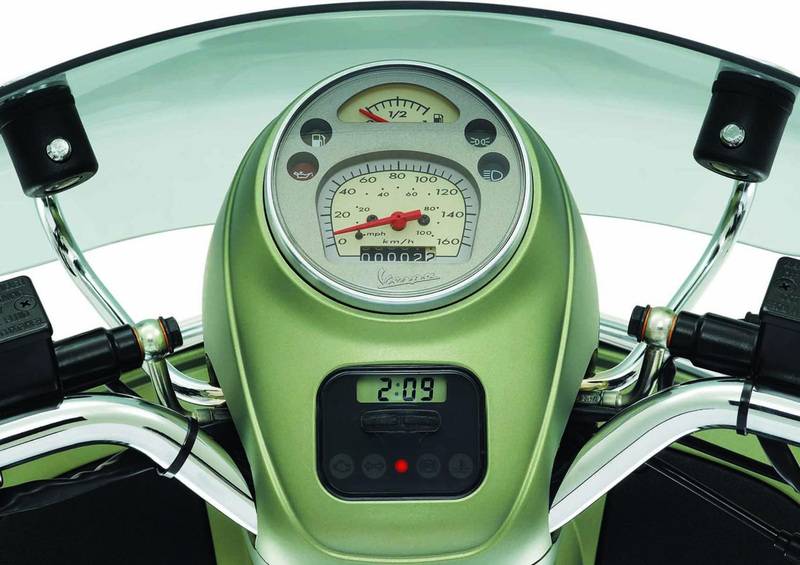 Riders can customize their scooter by adding a windshield, front and rear luggage racks, a 42-liter bag, anti-theft devices, a thermal covering, or even a Tom Tom ‘VIO’ scooter GPS unit. 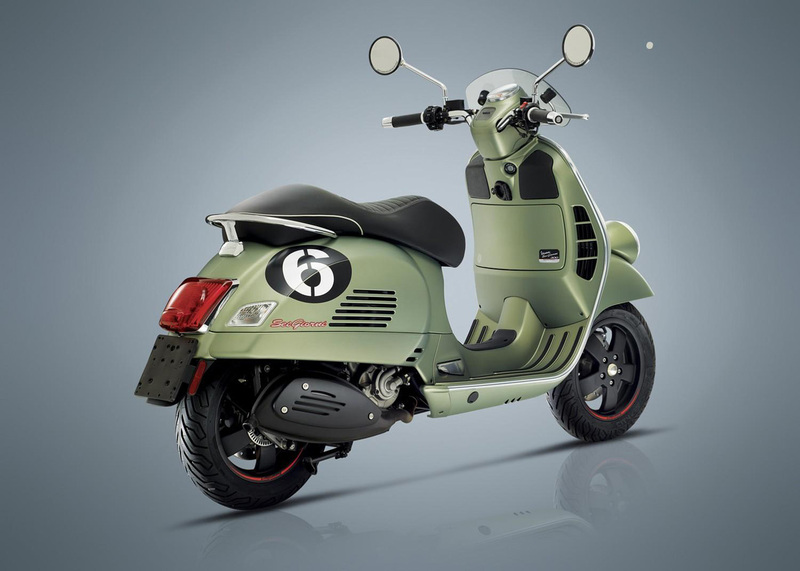 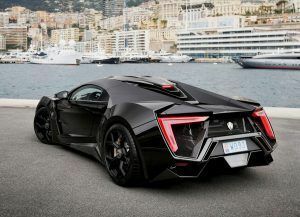 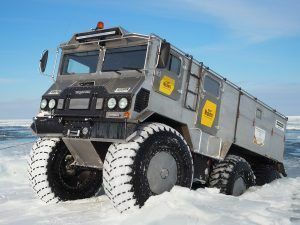 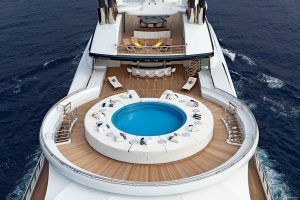 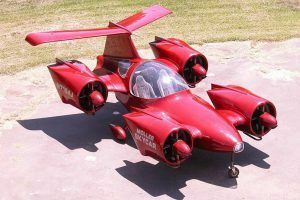 The ‘Six Days’ is powered by a 300 cc euro4-compliant liquid cooled four-stroke engine that can create 21 hp, and 22 Nm of torque at 5000 rpm, while it also comes with an electric starter, a twist-and-go transmission, and an 8.5-liter fuel tank as standard. 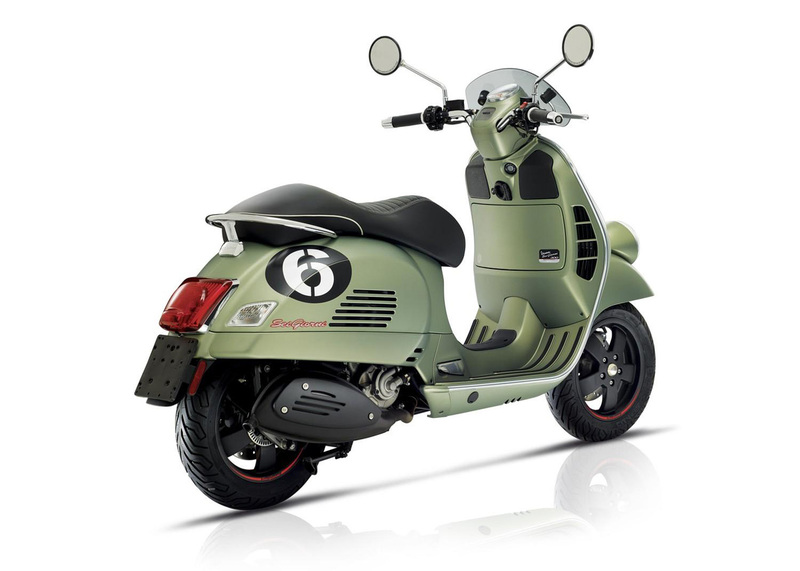 And also we would recommend you to check more mini bikes.